I have never been to a dance music festival. Yeah, I said it. Not once. I’ve been listening to dance music for the past 4 years but have been aware of it for close to a decade. Part of the reason I have never been is because of where I live, Colorado. We do have a music festival here, Global Dance Festival, every July at the wonderful Red Rocks. I’ve never been to that either. Not for lack of motivation, it’s usually more monetary. I’m not planning to inform you about the business of festivals and why they cost what they do and are planned for the locations they are at. That’s another book entirely. I want to let you know what I think festivals will be like, I plan on attending EDC Las Vegas in June followed by Paradiso in Washington the following weekend. Here’s what I think will go down. The music. This is why we go. This is what brings us together. As of writing this, the lineup for EDCLV has not been released, yet the festival has sold out; pretty big expectations for a completely unknown lineup. 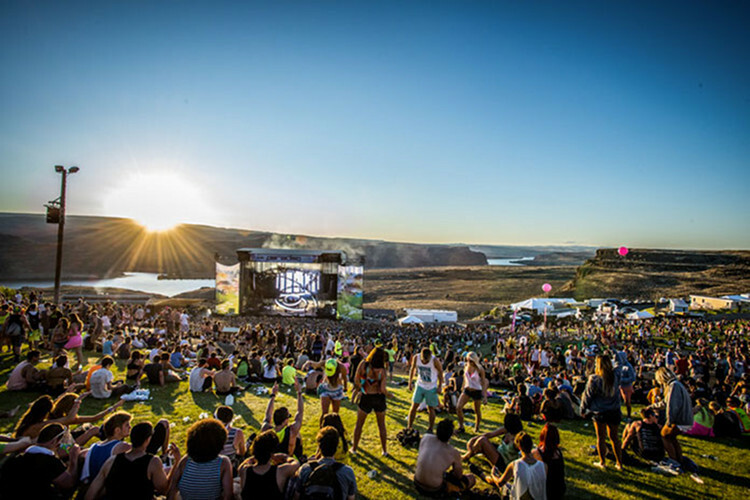 As for Paradiso, the lineup includes Bassnectar, Above & Beyond, Zedd, and Krewella, a varied and stellar lineup in my opinion. I am beyond excited. Seeing music live is one of the most wonderful things we have as a music culture. The crowds are incredibly excited and it seems as though everyone you meet is happy to lend you some water or move out of your way so you can see a little better. The lineup almost doesn’t matter. The atmosphere at any concert/show I’ve ever been to is phenomenal. You feel part of one big family regardless of what area you’re in or what music you are listening to. There may be some people who aren’t exactly friendly but they are the extreme minority. I look forward to this most, smiling at everyone that walks by and making friends at every turn and not to mention, experiencing amazing music together. The logistics of getting to and from a festival that is not where you live becomes one of the hardest parts. Should I fly or drive, stay in a hotel or camp? The difficulties add up quickly but remembering what lies ahead makes everything worthwhile; especially when you are staying with your friends. Every show/concert (whatever you call it) that I have been to consists of one night, one, maybe two headliners and a few artists before them. The atmosphere is still amazing but connecting with people gets harder when you’re there for only a few hours. Most venues close their doors and everyone goes home, reveling in their experience. From everything I have seen and heard about going to a larger festival, the experience doesn’t end when the final song fades out. The after parties, the experience during the day before anyone plays, and the camaraderie you develop when you make the trip together, stay with your friends for a weekend, or a week in my case, and then experience the music together as friends and a much bigger family. I hope that I am right, I hope that my time in Vegas will be exceptional and my week in Seattle is incredible. Scratch that. I know my time will be incredible and exceptional. How could it not? If you’ve ever been to a festival, big or small, many or only one, I want to hear what your experience was. Even if you’re like me and you haven’t, tell me what you think it’ll be like, or even if you want to meet up at either of these. I want to hear your experiences, your troubles.